These are absolutely delicious! Golden, crispy, savoury bites that are incredibly satisfying fresh from the oven or straight from the fridge! 1. Lightly grease 12 hole muffin pan (we used Olive Oil spray). 2. Cut 12 x 1cm wide strips of baking paper and line each muffin hole so it extends beyond the rim so it’s easier to remove the tarts. 3. Stack 3 filo sheets (spray between each sheet with oil). Cut stacked filo sheets into 12x10cm squares. 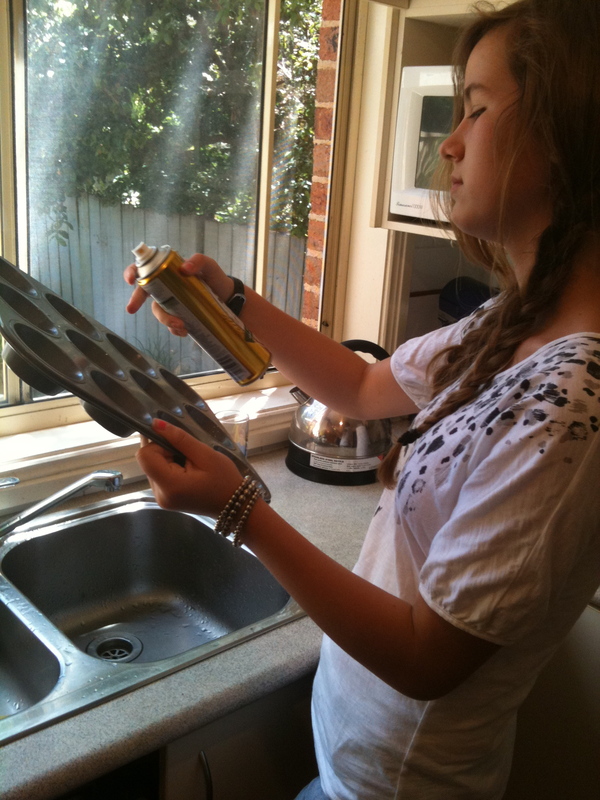 Spray one square with olive oil and place another square diagonally on top to form a star shape. 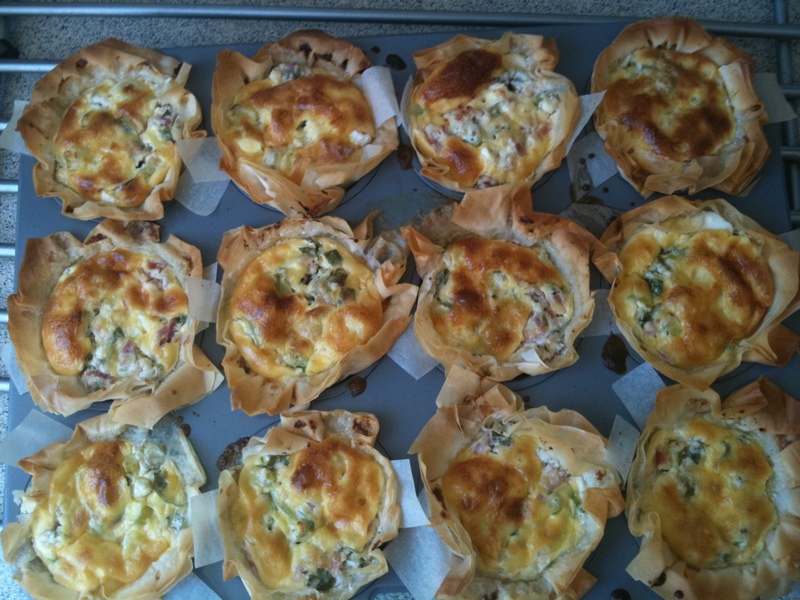 Press into muffin hole and repeat with remaining 3 filo sheets until 12 tart shells are complete. 4. Combine prosciutto (or ham), onion, parsley, ricotta and feta in a large bowl then season with salt and pepper. 5. Spoon mixture into tart shells. 6. Whisk cream and eggs, pour over the ricotta mixture. 7. Bake for 25 minutes or until set. Stand in pan for 15 minutes before serving. Tags: baking, cooking with kids, filo, food, recipes, ricotta, tarts | Permalink. Thank You Tes! They are incredibly comforting and simple to make.